9,06 € VAT excl. 10,87 € VAT incl. 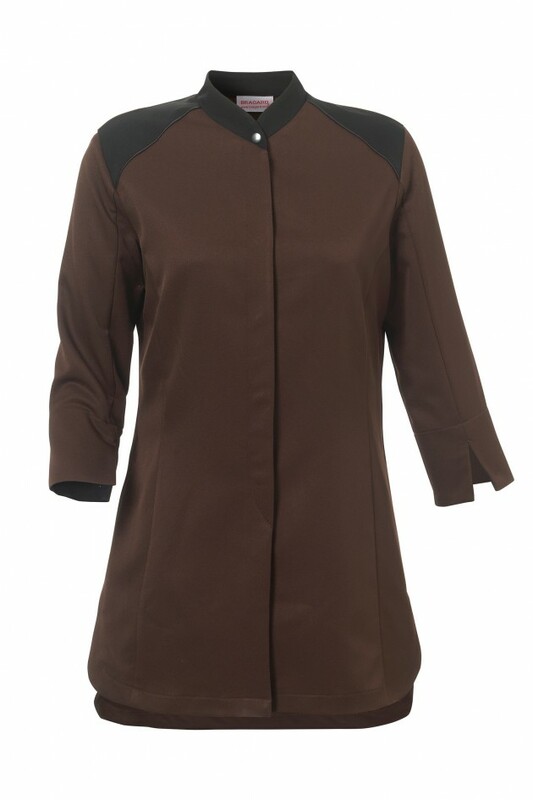 Tunic with black trim and black piping. Concealed press stud fastening. Side pockets. ¾-length sleeves, with slit at end of sleeves. Back of armholes with comfort pleats, in COOLMAX® knit fabric. Rounded base. Side slits. Registered design.